Belarusian authorities allow mass actions to celebrate the 101st anniversary of the Belarusian People’s Republic in Hrodna and Minsk. Nobel laureate’s (Svetlana Alexievich’s) Intellectual Club resumes its meetings. Minsk hosts the first ‘monstration’. 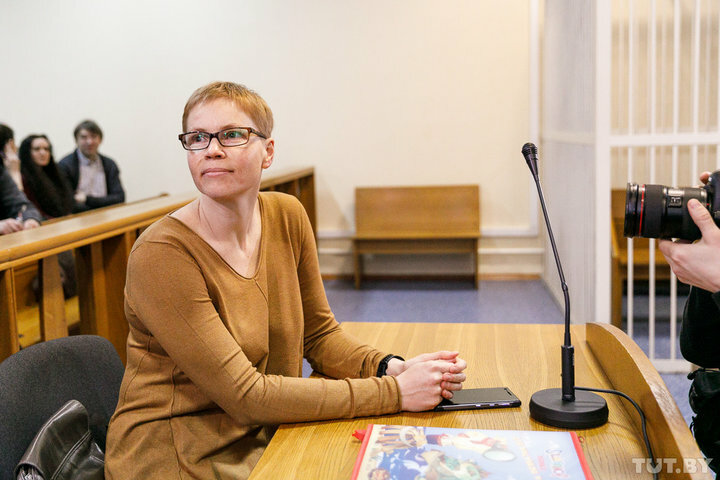 The Belarusian court sentences Maryna Zolatava, the chief editor of TUT.by portal, to a fine over dereliction of duty under the so-called BelTA case. Human rights defenders alarmed by the unprecedented attack on critical bloggers. Women In Technology Week supported by USAID was held on March 18-22. Belarus joins the global action Earth Hour for the 11th time. The Belarusian Association of Journalists (BAJ) names the Ministry of Emergency Situations, MFA and the State Border Committee as the most open ministries. Freedom Day marked for three days in Belarus. The authorities allowed mass actions to celebrate the 101st anniversary of the Belarusian People’s Republic (#BNR101) in Hrodna (March 23) and Minsk (March 24), each of them gathered from 1,5K to 5K people. A number of unauthorized actions were held on March 25. While there were no detentions in Hrodna, at least 15 people, including opposition politicians and known musicians, were detained on March 24-25. Most of them were later released without charges. Nobel laureate’s Intellectual Club meeting took place on March 26, at the Lithuanian Embassy in Minsk. The speakers, Belarusian authors Alhierd Bakharevich and Viktar Martsinovich, debated on the topic Price Of Compromise. 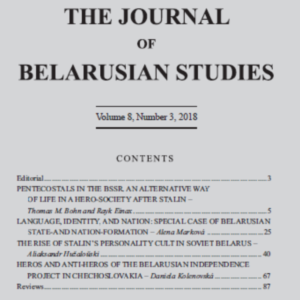 After receiving the 2015 Nobel Prize in Literature, Svetlana Aleksievich’s declared readiness to spend part of the money prize on the establishment and activity of an intellectual club for Belarus. First Belarusian ‘monstration’: more posters than participants. On March 6, in Minsk, volunteers of the HRC Viasna organized a monstration. The participants were holding posters with the inscriptions “Workers of all countries, quit!”, “Thank you for nothing”, etc. The Monstration is an idea of mass demonstration with absurd mottoes invented in Russia. Over 230K Belarusians engaged in volunteer activities. This is nearly 2,4% of the population. According to the Statistical Committee’s poll of the Belarusians aged 15-74, the most common areas of volunteers are social support (28%) and animal care (24%). An average volunteer is a woman who lives in a city: twice as many women than men, as well as four times more urban residents than rural ones are involved in voluntarism. Human rights defenders alarmed by the unprecedented attack on critical bloggers. The HRC Viasna is concerned about the situation of blogger Andrei Pavuk, who was detained for having allegedly used his computer to email a fake bomb threat to the government building. Viasna believes that the case is a sign of intensified repression in the Internet on the eve of elections. Earlier, charges were brought against bloggers in Brest. Guilty: Zolatava to pay a fine and BelTA costs. On March 4, the court announced the verdict to Maryna Zolatava, the chief editor of TUT.by portal. She was found guilty of dereliction of duty under the so-called BelTA case. She must pay a fine and sue charges totalled of $6,3K. 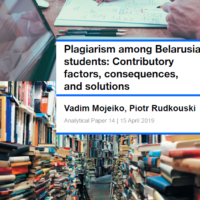 BAJ and Belarusian Pen Center released a joint statement regarding the conviction of Zolatava. OSCE hopes the verdict will be overturned. Monitoring of LGBT-topic in the Belarusian media. During the ten months (January-October 2018), the human rights initiative Journalists for Tolerancemonitored 161 Belarusian media outlets and found 891 LGBTQ+ related publications. Compared with the previous monitoring, the share of relevant materials has increased, and more materials with hate speech have appeared. Earth Hour 2019. This year, Belarus joins the global action Earth Hour for the 11th time. On March 30, the last Saturday of March from 8:30 pm to 9:20 pm the lights will be turned off on the most famous buildings. This is a demonstration of the human will to global environmental problems. Three topics are chosen this year: for clean air, clean neighbourhood and clean energy. Women In Technology Week supported by USAID was held on March 18-22. The Week is a series of workshops and discussions to help empower women and girls as future business leaders and entrepreneurs, particularly in tech sectors. On March 18, Jenifer H. Moore, U.S. 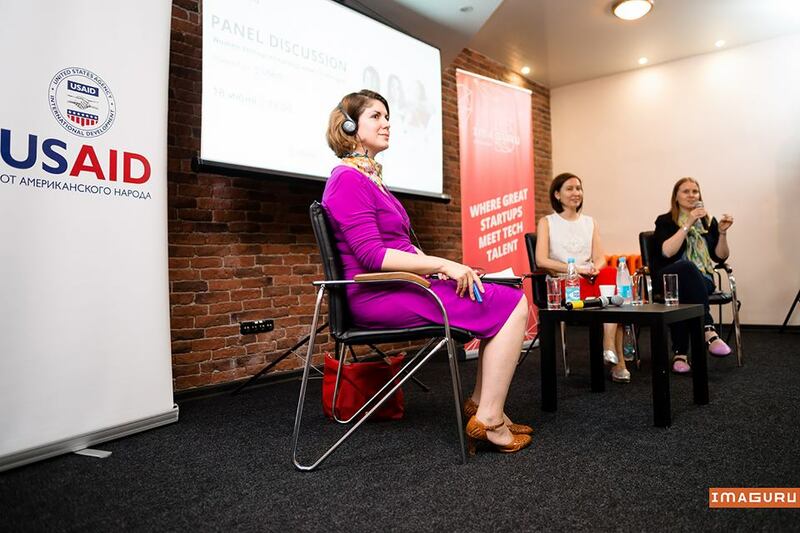 Charge d’Affaires to Belarus, took part in the opening panel discussion on women’s leadership. W-day in Minsk. On March 2-13, Minsk will host a network of events dedicated to the spring holiday of gender fight. The organizers hope to return the lost meanings to the International Women’s Day that means respect for women’s work and a symbol of the struggle for gender equality. The program includes lectures, discussions, a master-class on feminism with own hands, etc. Week of educational activities against racism, discrimination and hatred is held in Belarus on March 16-24. The Week is organized by Human Constanta human rights CSO together with partners. The agenda includes public lectures, youth debates, and presentations. The Belarusian Week runs in parallel with the European Action Week Against Racism. Hackathon for teachers was held in Minsk, on March 23-24. The Hackathon titled of EduTHON is a creative laboratory, where professionals from the education and IT sectors get together to address educational problems and come up to technical solutions. The Education for Future association organizes the event. First SDG Impact Investment Forum was held in Minsk, on March 28. The forum was designed to stimulate social impact investment growth and support active engagement of the business community into the Sustainable Development Goals (SDGs) achievement in the country. Initiated by UNDP, the event gathered CSOs, high-profile officials and business companies. First Belarusian Forum of Innovative Ideas will be held in Mogilev, on April 19-20. The Forum aims to promote the work of regional CSOs and their contribution to the development of the regions. The organizers are the Center “Kola”, Studio for Useful Competencies and the Center “Third Sector”, Grodno. Deadline for applications is March 29. Rating of the most closed state bodies. The Belarusian Association of Journalists (BAJ) surveyed journalists about the openness of the Belarusian ministries and departments. The Ministry of Emergency Situations, MFA and the State Border Committee received the best marks. The most closed are the Information and Analytical Center, the Ministry of Internal Affairs, and the KGB. 12th MediaBarCamp opens registration. The MediaBarCamp Inspired BY (Inspired by Belarus/Inspired by someone or something) is a place where activists meet to build networks, inspire each other, and share their experiences of working with civil society projects. During the four-day event, discussions, workshops, presentations etc. are held at different venues. Application deadline is March 24.